On March 31 I reported that I had a tooth extracted. Today I return to the oral surgeon who does not run a radio message board for a followup visit. He determined that I was ready for a dental implant. I will have to return on July 28 for the implant. I will then have to wait 6 months until I will be ready to have a crown put where the original tooth was extracted. This entire "ordeal" will have taken almost a year when the job will be completed. I can remember way back in the early to mid 1960s the fare in NYC was 15 cents. Over the weekend it went up to $2.25. There are various fare discounts that regular riders can use to save some money. You can get unlimited rides for 7 days, 14 days, or 30 days. However, for those fares riders must go for more than one trip a day or ride the buses and trains regularly on weekends. I take advantage of the 15% discount when one buys a Metrocard for $8 or more. Since the fare is an odd number at $2.25, there is a little complication involved in "zeroing out a card." This morning I had $12 on my card which was reduced to $9.75 when I rode this morning. 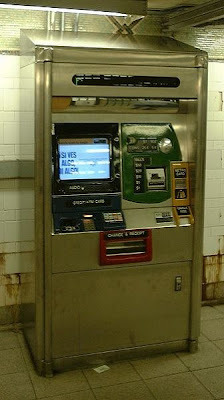 I had to go to one of the Metrocard machines as seen above to add $1.50 to my card to get to $11.25 which will go to zero after 5 rides. In the future I will have to put $20 on my card, let it go to a low amount and add $25 to get to a number divisible by $2.25. And so it goes. 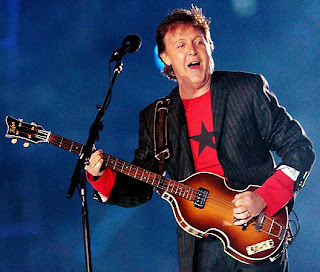 Nothing has been confirmed or denied about McCartney collaborating with Bob Dylan. Your truly is hoping that when Paul takes the stage at Citifield on July 21, there will be a guest appearance by the man from Hibbing, Minnesota. Three people sitting in section 506 will be very happy. 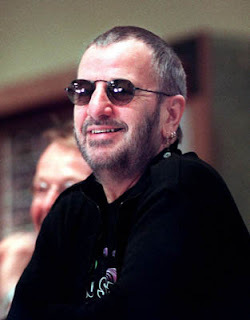 We would also be pleased if Ringo Starr played. Our 15 game package at Citifield included the Saturday night game of the subway series with the Mets facing the Yankees. The Mets could only get one hit off Yankee pitching as the Bronx Bombers won 5-0. The game featured home runs by Nick Swisher and Jorge Posada. Over the last 3 Subway Series games the Yankees have outscored the Mets 29-1. The injuries have really caught up to the Mets as they have lost Carlos Beltran, Jose Reyes, Carlos Delgado, Oliver Perez, John Maine, and JJ Putz for extended periods of time. Box score. Recently I have reconnected with several people from different schools in my lifetime. Here goes. Pratt Institute - I was a part time graduate student from 1979-82. The social interactions among part time students was minimal. I haven't reconnected with anyone. Bruces's Journal will hit 1000 entries within a day or two. Since I have time on this Saturday moring, I'll write entry #998 with my thoughts about this journal. Blogging has become very popular in the Web 2.0 era. There are probably millions of blogs (a shortened version of weblog) that are out there. As I reported a few weeks ago, 95% of them are abandoned evidently since the writer just lost interest. There are different types of blogs. They can be about news events, political points of view, and personal experiences. I have chosen the latter approach. My first entry was on October 15, 2005 when AOL offered its subscribers a place to publish blogs. In October 2008 Bruce's Journal made the transition to Blogger, a service of Google. At that point its address became http://bigtownman.blogspot.com which likely still works. Since Google sells domain names at $10/year, I used http://www.bruceslutsky.com as the major name for my journal. In August 2008 I started a work related journal at http://njitbruce.blogspot.com. I always have to remember that anyone can read either journal so I have to remember to be careful what I write. I try not be be too personal in this journal. Certainly I have frustrations at work, but I will not write about them in either journal. I have been guilty of a few minor indiscretions and I thank people for pointing them out. 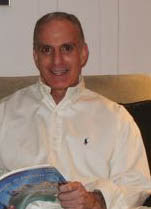 Since its inception Bruce's journal has received about 18,400 hits. This includes my own accessions When the journal made the transition to Blogger, I used Google Analytics to track usage. The post that got the most hits was a review of a new DVD about Bob Dylan's Never Ending Tour. It got so many hits since it was linked to Expecting Rain, a very popular Dylan fan site. The next two popular postings were about WABC Rewound. These entries were very high when I did a Google search on the phrase WABC Rewound. I don't know how many different people have read Bruce's Journal. I am sure many just found it once as a result using Google or other search engine. I don't know what percentage of the readers actually know me. I know several radio enthusiast friends and one colleague from NJIT read it regularly. From Google Analytics, I can determine where the readers are located. There is one reader from Stamford, CT whom I don't know. The journal is also imported into my Facebook feed and I know many of my Facebook friends read it. This number is not counted by Google Analytics. Very few people make comments to the journal directly, but several people have done so on Facebook. I am happy to say that almost all my experience with my journal have been positive. There was only one individual who made some negative comments about me which I deleted. He disagreed with me on a radio related issue, but attacked my by making comments about my family which were just none of his business. I will keep positing and hope you will keep reading. May paycheck was nuch larger than normal today since I received two years of retroactive pay from NJIT. To make a long story short, my union was very slow in settling with the university administration, but we finally got our raises and retroactive pay. I decided to put 70% of this extra pay into a certificate of deposit and hold it aside for retirement. I must be careful about spending money in this poor economic climate. I decided to use the other 30% to go to cultural activities over the summer. I just bought tickets for the Wiz at City Center on July 5. Last night we went to Lee's graduation at Naussau Coliseum. Mayor Michael Bloomberg was the Keynote Speakers. Deputy Mayor Dennis Dennis Walcott and our Councilman John Liu also spoke. Every graduate had his/her phot shown on the big screen in the arena. The longest part of the program was when every graduate was called to the podium to shake hands with the principal. Even simchas have their aggravation. Nassau Coliseum is about 20 miles from the school and the ceremony started at 6 PM which seemed to be an unsual time. I drove to Forest Hills to pick up my mother and from there drove to the arena. We really got stuck in rush hour traffic. What should have taken 45 minutes took 1 hour and 45 minutes. At the end of the ceremony we had a problem findng Lee in the crowd. He went to security who phoned us on our cell phone. We were worried for a while, but all's well the ends well. It is unusual when I go to a ball game in the middle of the week, but last night's game was included in the 15 pack that I bought. 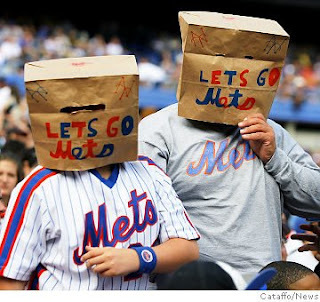 The Mets lost 3-0 to the St. Louis Cardinals. The stinkin' Mets could only get two singles off winning pitcher Joel Piniero who got two hits himself as he pitched a complete game. There was a 52 minute rain delay in the third inning, but fortunately the game lasted only 2:13 so we got home a decent hour. Box score. Another Oy Vey for the Mets. You can read the details here. As of today the Mets record is 34-33, but with Reyes, Delgado, Putz, Maine, and Oliver Perez on the disabled list, is there hope for the Amazins this season. Fortunately, the Phillies are doing poorly and are only 2 games ahead at this point. There are 95 games to go in the season. Last night Lee sent Sue O'Neal who is on the air weekend mornings on WCBS-FM a dedication for me on Fathers Day. He asked her to play Color Me Father by the Winstons. I must publically thank Andrea Wiener, the Oldies Diva and WCBS-FM enthusiast extraordinaire for sending me an MP3 of the dedication and the song. Andrea was recording the show at the time. Without much exaggeration she listens to the station 24 hours a day and 7 days a week. Over the 15 years that I have been on the Internet I have reconnected with people from various times in my life. Early in this decade I exchanged a few e-mails with Richard Jacoby whom I knew back in elementary school as Richard Jacobowitz. He changed his name legally, but I also knew a Regina Jacobowitz from my Queens B'nai Brith Singles days. He is trying to reconnected with several guys that he knew from the PS 139 schoolyard in Rego Park. The kids congregated there to play ball all those years ago. I was never a very good athelete, so the kids didn't want me on their team. He threw out several names of people we knew and reported what they are doing now 45 plus years after we left PS 139. We also talked about many of the retail establishements in Rego Park that existed back then. A few like Ben's Best Deli and the barber shop in the 63rd Drive subway station are still there, but most are long gone. Rich is even thinking of organizing a reunion of the Rego Park crowd although the people are spread out over the USA. For every day for the last 3 weeks it has either rained or been a threat of rain. There is a forecast of thundershowers for later this afternoon. We are going to the Met game that starts at 4 PM. I hope the rain holds off until later tonight. 2 Springfield Stations owned by Citadel WMAS (94.7 FM) and ESPN Radio WHLL (1450 AM) The Hall had their studios in the same building as the Basketball Hall of Fame. The Hall actually carried the Yankee games while the Red Sox were carried on WVEI (105.5 FM) and WNHP (1600 AM). No local station carried the Mets but I could pick up WFAN at night. Luckily there is a cluster of museums in downtown Springfield, so we spent our last day of vacation over there. We first visited the Springfield Science Museum which was very similar to the Hall of Science in Queens and was like a miniature version of the American Museum of Natural History. From there we went to the Connecticut Vally Historical Museum where there was a permanent exhibit devoted to Theodore Giesel better known as Dr. Seuss, the author of children's books. Our las stop was the Michele and Donald D'Armour Museum of Fine Arts which featured art works from local artists. There were also exhibits of European art works from medieval times until today. Day 2 of our vacation was a trip to Six Flags Over new England which was a short 15 minute drive from our hotel. 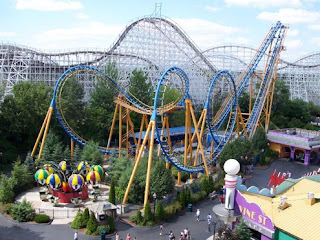 The last times I was to a Six Flags park was in 2000 when we went to Great Adventure in Jackson, NJ. I am a chicken and there was no way that I would go near one of the big roller coasters as seen in the above photo. We certainly went on plenty of the more tame rides in the park. Since we went on a weekday early in the season, the park was not crowded and we never had to wait more than 10 minutes to get on a ride. I remember dreading to go to theme parks when you spent more time waiting on line than doing anything else. It was not uncommon to wat 1/2 hour or more and the ride lasted 3 minutes. It was nice being a kid again for just one day. I will post photos when I return home in a few days. 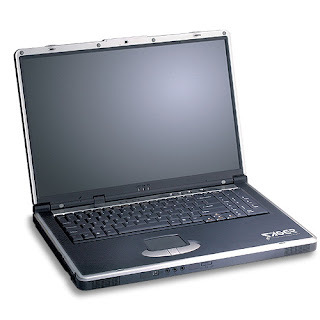 I took may laptop computer on vacation as suggested by many of my friends. Here I am in the Hilton Garden Inn typing my journal entry. We left Queens at 8 AM and arrived at the Naismith Basketball Hall of Fame 11 AM. We jsut ran into some traffic around Farifield, CT due to a jacknifed tractor trailer. The basketball hall has been in this building since 2002. Karen and I visited the previous building in 1987 before Lee was born. There was a big rotounda where there was a photo of every inductee from college, professional and womens basketball. Many coaches and executives were also included. On the second floor there were many interactive exhbits. The lower floor was a basketball court where anyone can shoot some hoops. We took plenty of pictures, but won't upload them until we return home. It is hard to evaluate radio stations in the car when there is also road noise. I am taking the family to Springfield, Massachusetts for a brief vacation tomorrow. We are going to the Naismith Basketball Hall of Fame and some other attractions in that area. I still haven't decide if I will bring this laptop with me. The important thing about a vacation to to take a break from normal routines. Between work and home I certainly spend a lot of time on the web. If I do take my computer, I will minimize my time online. We will return home on Friday. I got on the Internet at 9:55 AM and got to http://507tixx.com . I waited until 10:30 and finally got into the system to buy tickets. July 17 and July 18th were sold out, but they added a third show for Tuesday July 21. I was able to get 3 tickets for that show. We had never seen a concert at Shea Stadium, but we will get to see one at Citifield. The final score was Yankees 15 Mets 0. The Mets ace Johann Santana was hit with 9 runs in 3 innings while Met manager Jerry Manuel was ejected from the game for arguing a strike call while the team was losing 13-0. Two Oy Veys in 3 games. At lest there are about 100 games to go in the season. Hopefully the Amazins will recover from their injuries and become competitive. I still have 11 games to go in my ticket package for the season. We went over to the Tourneau watch store at 57th Street and Madison Avenue in Manhattan. There was an exhibit of photos and memorabilia of Bob Dylan. There were rare photographs and a display of every vinyl LP that Dylan released from 1962 to the present. It was smaller than I thought since it only took about 20 minutes to view everything. We were going to walk around Central Park, but it startd to drizzle. We stopped in the famous toy store FAO Schwartz and browsed for a little while. We also looked around the Apple Store. I have still resisted the temptation to buy an IPOD. I usually write journal entries about Met games onlywhen I actually attend the game. 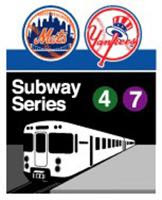 The Subway Series between the Mets and Yankees have generated much excitement since they started in 1997. Last night game was the most exasperating loss that I can remember. The Mets were ahead 8-7 in the bottom of the ninth with two outs with Derek Jeter on second and Mark Texiera on first as Alex Rodriguez hit a routine pop fly to Luis Castillo at second base. He had the ball in his glove and dropped it as the Yankees won 9-8. More details. Today is the transition to digital TV. Since we have one small TV in the bedroom that is not hooked up to cable TV, we bought a converter box and antenna. Some of the stations barely come in, while reception on some of the others are quite sharp. I will have to run the set up again tommorow when the transition is complete. Back in 1977 when I worked at Pfizer in Groton, CT, the chemists in the analytical lab called me Ishkabibble which was the name of a character on the 1930's radio show "Kay Kyser's Kollege of Musical Knowledge". Prior to that it was used as a slang word meaning "No worries," or "Who cares? I must comment as I've done several times with regular journal reader Alan Berman that there are so few places left where one can purchase a CD. Most of the kids who buy music these days prefer to download and burn to a CD. 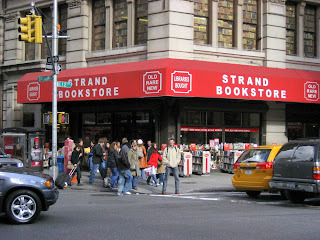 After the meeting a stopped by the famous Strand Book Store on 12th Avenue and Broadway. Bookstores are also becoming dinosaurs since people prefer to purchase from online stores such as Amazon.com. I purchased Ron Darling's new book titled The Complete Game: Reflections on Baseball, Pitching and Life on the Mound. I like many other people are addicted to the Internet since I use it so much professionally and socially. When I have gone on vacation over the past few years I usually find an open computer available in the hotel's lobby. In San Francisco in 2005 I used the Internet Cafe where I had to pay about $4.00 for 20 minutes of online time. Now that I have a laptop, I am contemplating whether I should bring it on vacation to Springfield, Mass. next week. I believe my hotel will provide free wireless access. If I do, I must limit myself to one short session in the morning and a short one in the evening. I don't want surfing the web to prevent me from enjoying other things in this world. I picked up this book by Edward Klein at the public library and started to read it on the train to work today. Ted Kennedy was lucky to survive a plane crash in Massachusetts in 1964 when the pilot and a passenger were killed. He also survived in the car accident with Mary Jo Kopechne in 1969. I was about 1/3 of the way through the book when I arrived home. There is a book review in the New York Daily News. In 1969 Johnny Cash and Bob Dylan collaborated as they sung Girl of the North Country. Below is their appearance on the Johnny Cash TV Show in Summer 1969. They made beautiful music together. Twitter seems to be the big thing these days. I hopped on the bangwagon and set up an account. You can follow me at BruceS8852. By the way there is absolutely no significance to the number 8852. Years ago when I first signed up with AOL, I asked for the screen name BruceS. They said that it was available and offered me BruceS8852. I have kept that screen name for over 15 years now. I was sitting on a park bench in Alley Pond Park today when I read an article in today's New York Times titled Blogs falling in an Empty Forest written by Douglas Quenqua. The article states that Technorati reports that out of 133 million blogs that it tracks only 7.4 million have been updated in th past 120 days meaning that 95% of all blogs have been abandoned. I am pleased to say that this blog has been active since its inception in October 2005 while my work related blog has been active since August 2008. 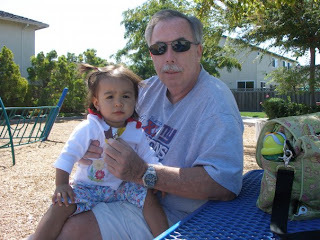 I deleted one or two short term blogs that I started a few years ago. The blogger must be careful to realize that anyone can read the contents of a blog. I have seen that Google indexes Bruce's Journal within minutes. I am especially careful not to criticize anyone at work. I receive lots of statistics from Google Analytics on how many times the journal is hit and which postings are the most popular. Very few people have posted comments to this journal. I vet comments to this journal before allowing them to be posted, but I allow all comments except those that are unfairly critical of me. I know some of the people who follow this journal regularly. Some people have used search engines and found postings about Saturday Night Oldies, WABC Rewound, Citifield, Jahn's ice cream parlor, Camp Wel-Met, and jury duty among other topics. Karen and Lee were also there but are not considered among the elite since they are watching the Met game during the show. Yours truly will be listening to Cousin Brucie at 8 PM. Professor Alan gave Cara the dunce cap and relegated her to the back of the room since she phoned him during last week's show. We discussed some incidents that happened all those years ago. One was when I had too many beers at Mulcahy's bar in Wantagh and I vomited on the street. Those were the days. Why did it have to rain on my first off Friday for the summer? I have watched Who Wants to Be A Millionaire with Regis Philbin or Meredith Viera for many years. Now that I have a laptop computer and a wireless network in my apartment I watched it for the first time with the computer set to do a Google search when a question came up. There is the "Phone a Friend" lifeline when the contestant can phone someone who can help give the correct answer within 30 seconds. Tonight when that lifeline was used I was able to search Google and within a few seconds I was able to ascertain the correct answer. Just more fun with the new computer. Today I was at a library conference at Brooklyn College. I will write it up tomorrow in my professional blog , but I want to devote this entry to some memories of the borough of Brooklyn. I was actually born in Brooklyn in what is known today as Brookdale Hospital. My parents and I lived with my grandmother in the Williamsburg section until I was 2 years old when we moved to Queens. I always hated driving on the Brooklyn Queens Expressway since the traffic was always terrible. I finally starting working on the web cam which was built into my new computer. I discovered how I had can take still and moving pictures with it. I also set up an account with Skype which I have seen on "Who Wants to be a Millionaire." There are certain calls that one can make with Skype without paying a fee.